While not as important as big-ticket items like showers or sinks, bathroom accessories and hardware play a vital role in the daily function of your bathroom and can elevate the overall design and feeling of your space. Towel accessories like towel bars not only eliminate clutter but also maintain a clean, healthy environment since towels that are left crumpled and wet on the floor provide the perfect breeding ground for mold and bacteria. In your shower, features like soap dishes and built-in shower benches simplify your cleaning process and allow easy accessibility while showering. 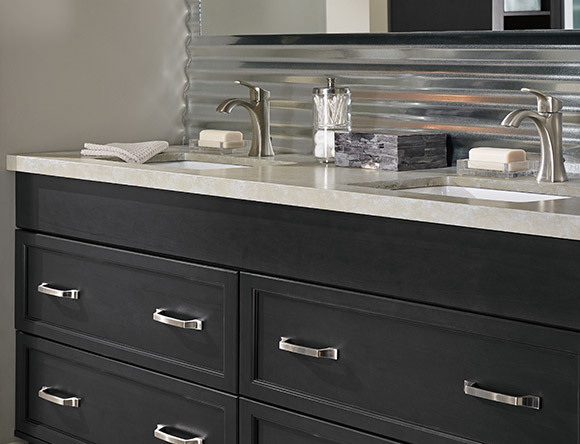 For a luxurious, elegant bathroom, sink accessories like a built-in soap dispenser provide a sophisticated look to complete your bathroom design. While each bathroom accessory serves a uniquely important function, investing in high-quality hardware that matches your style can also transform your bathroom from a purely functional space you have to use into a beautiful sanctuary you look forward to starting and ending your day in. 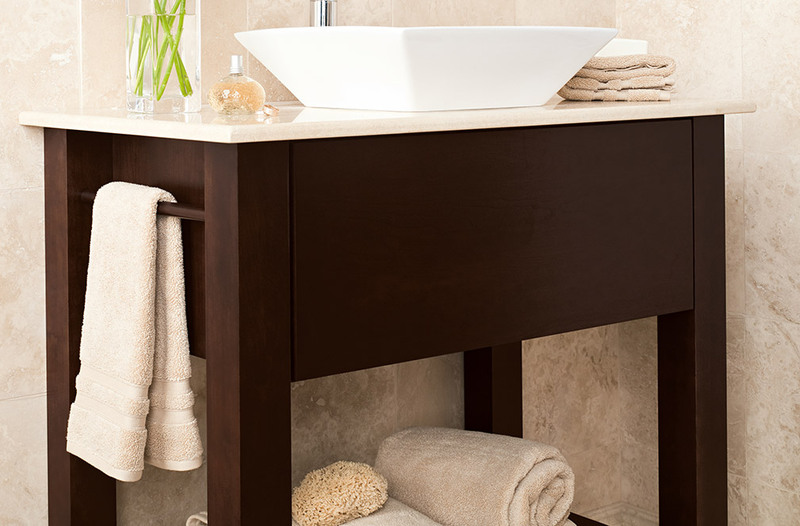 Towel accessories like towel bars not only eliminate clutter but also maintain a clean, healthy environment since towels that are left crumpled and wet on the floor provide the perfect breeding ground for mold and bacteria. In your shower, features like soap dishes and built-in shower benches simplify your cleaning process and allow easy accessibility while showering. For a luxurious, elegant bathroom, sink accessories like a built-in soap dispenser provide a sophisticated look to complete your bathroom design. While each bathroom accessory serves a uniquely important function, investing in high-quality hardware that matches your style can also transform your bathroom from a purely functional space you have to use into a beautiful sanctuary you look forward to starting and ending your day in. 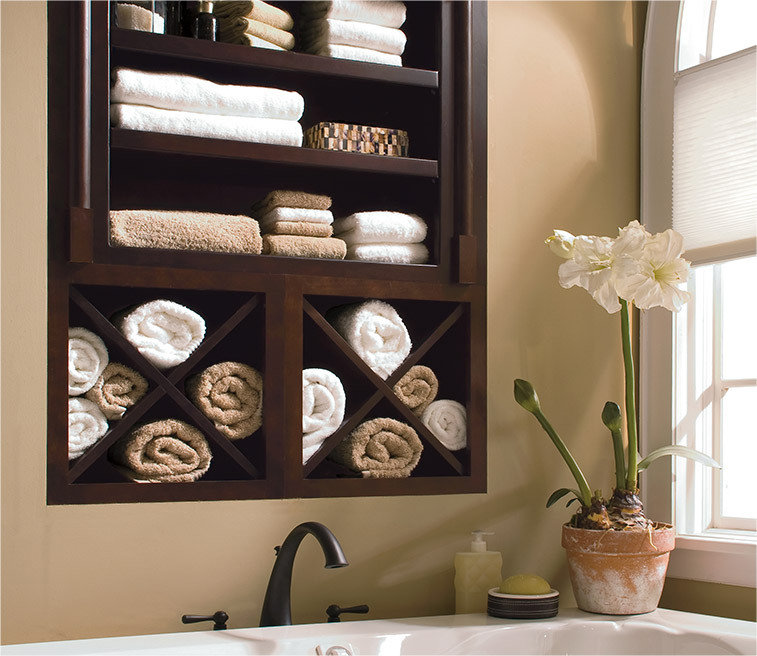 Towel accessories are not only an investment in the overall style and look of your bathroom, but they also serve important functional uses like maintaining an organized space and preventing bacteria and mold growth. 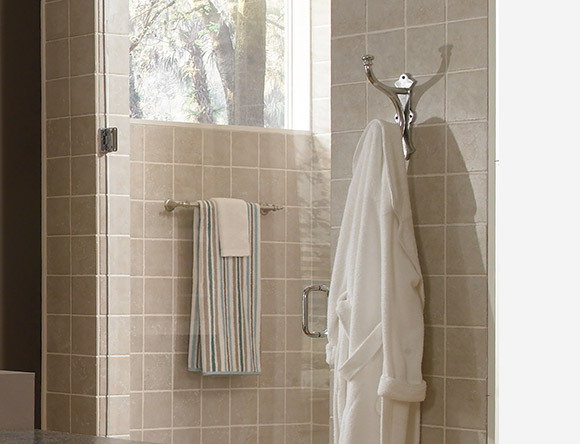 In a smaller guest bathroom, towel rings or hooks are the perfect space-saving solution. For large master baths, a towel warmer takes up more wall space but delivers a warm, comfy towel every time you get out of the shower. At Henry Kitchen & Bath, our designers understand that incorporating towel accessories into every bathroom is essential for a well-functioning, clean space, so we will work with your style and vision to ensure you select the perfect fixtures for you and your family. When creating your perfect shower, there are many shower accessories you can choose from that each serve a distinct but important function to help deliver the best shower experience for you and your family. Built-in shower benches serve many practical purposes like making it easier to shave your legs, reducing the risk of slipping in the shower, and providing additional storage for your everyday products. Bath caddies allow you to keep bath time essentials such as brushes, extra towels, and other care products close at hand while you enjoy your soak. Soap dishes are shallow, open platforms that conveniently store your soap bars to prevent dangerous, slippery tiles. While these are only a few of the many types of shower accessories available at Henry Kitchen & Bath, your bathroom will benefit from installing one or more of these practical and useful fixtures. For the perfect finishing touch on your bathroom countertop, sink accessories provide equal parts style and function. A decorative soap dispenser in a finish and material that matches your bathroom’s style is the perfect accessory to refresh your vanity’s countertop. For a traditional bathroom, a marble soap dispenser adds an elegant feel that blends in seamlessly with marble countertops. In a glamorous, luxe design, a gold soap dispenser can create an eye-catching statement that completes your countertop’s design. 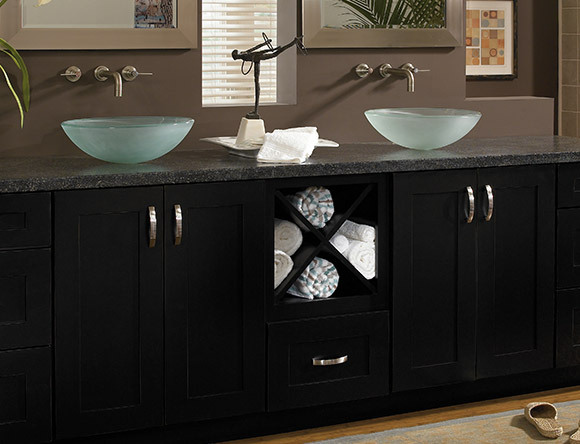 No matter your bathroom’s style, Henry Kitchen & Bath has the perfect sink accessory for you and your family’s needs. Whether you are updating a small powder room or completely renovating your master bath, the right bathroom accessories add the perfect finishing touches to make your new bathroom functional and beautiful. While certain accessories like a towel hook and soap dish are essentials for the health and safety of your family, there are many accessory options you can choose from that will improve the overall function of your bathroom by keeping your space organized while also adding to the charm and aesthetic of your space. At Henry Kitchen & Bath, our experienced designers are knowledgeable of all the latest bathroom trends, and they will work with you and your design style and vision to create your dream bathroom with all the perfect accessories. Start your renovation with us by scheduling an appointment with the Henry Kitchen & Bath team today – Our family owned, St. Louis company has been in business for over 90 years!